Are Low Cost Airlines Going Too Far? One of the biggest pushes currently being made by airlines is with regards to the amount of carry-on baggage allowed on flights. While Ryanair has focused on the size of bags TigerAir, an Australian low-cost carrier, has instead been focused on weight. The common factor between both is that they will happily charge at the gate if you are over your allowance. 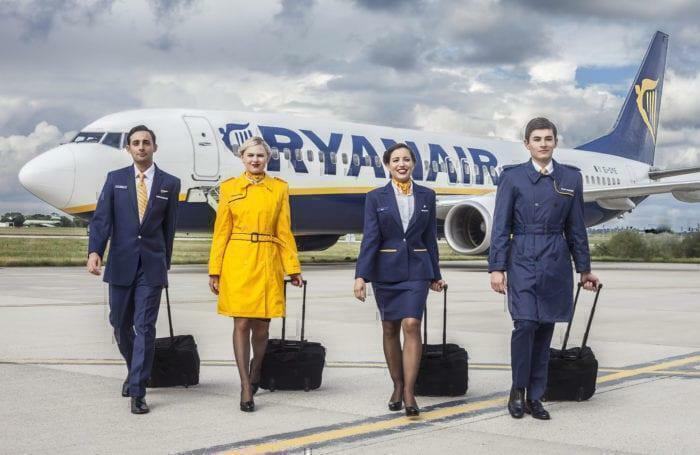 Ryanair’s new baggage policy sees passengers charged £25/€25 at the gate for any luggage which won’t fit under the seat in front. If passengers wish to take more luggage on the flight, the can opt for priority boarding. Costing £6 at time of booking, or £8 thereafter, this option allows a passenger to take one small suitcase up to 10kg onboard. Additionally, for £2 more, the passenger can check the bag into the hold. After this, it costs £25 for a suitcase up to 20kg. According to sources, Ryanair had implemented a grace period until November the 30th for implementing this charge. Taking a different approach is Australian low-cost carrier TigerAir. In fact, their policy revolves around weight and as such gate agents are reportedly armed with scales and credit card readers. Online, the TigerAir baggage policy states that passengers are allowed “Carry-on luggage up to 7kg combined weight”. While we found several mentions of this during the booking process, a Simple Flying reader contacted us to tell us that this was the only time. In an email received by Simple Flying, a passenger alleged that in his confirmation email, the limits were not mentioned. The email also did not offer the $22 upgrade to a 12kg bag. The passenger went on to state that at the airport, there was no scale at the check-in desk, meaning they were not able to balance their bags so each was under 7kg. Instead, he alleges that at the gate there was no option but to pay when staff appeared with scales and a credit card machine. This, he says, cost him over $45 USD for 4kg. Ryanair and TigerAir have been approached for comment. Do you think airlines are charging too much for bags, and making baggage policies too difficult to follow? Let us know in the comments down below! Very nicely written coverage of these “low cost” tactics. Thanks for covering! Another example is Indigo and SpiceJet, they are going to charge passengers for online check-in!! Absolutely ridiculous. To make matters worse, they keep their fares extremely low (below break-even) to drive competition out making all airlines go into the red, including themselves!!! Indian’s Aviation market is huge, filling up aircrafts is never a problem, but intense unregulated competition from LCC is making the entire industry unprofitable with low yilelds and it’s a complete mess! !